This February, in only ten days, 1700 people in Kathmandu were treated at a free eye clinic held atWFN and financed and staffed by GLS Future Foundation for Development and Vision for the Future – Germany. Women, children and men of all ages came to be diagnosed and provided with medication and free eyeglasses. 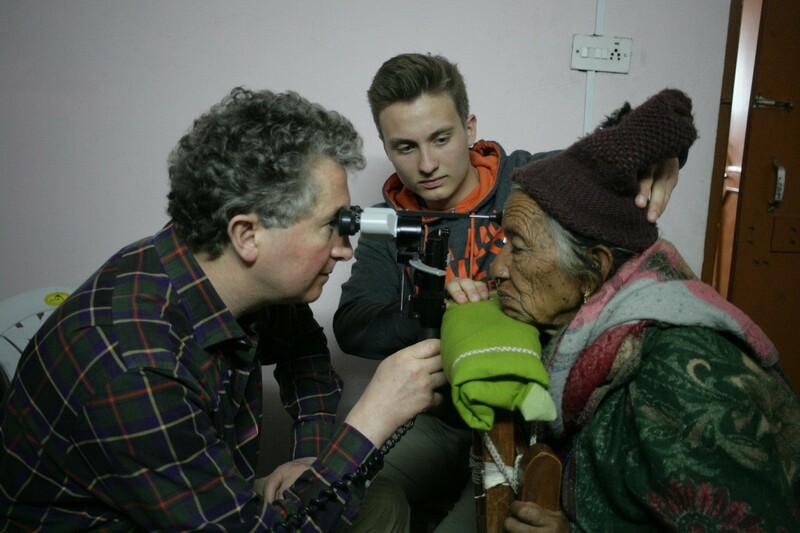 The camp was targeted at the many people in Nepal with untreated eye problems due to poverty and lack of access. The team, consisting of Dr. Karl Brasse and Sister Anja,Wehrmeyer, and health team of Netra JyotiSangh, provided eye exams and then performed successful operations on 79 cataract patients. For people suffering from loss of vision and cataracts, this has made an enormous difference in their lives – now they can live happily and independently with their eyesight restored.